Personal: Name: Dr. Jenő BÁRDOS, University address: Eszterházy Károly University, Faculty of Teacher Training, Institute of Education, 12, Klapka Str. 3300, Eger, Hungary. Administrative experience (selected): Head of the Institute of English and American Studies (previously English and American Studies Department) (1990-2010 ); Member, later President of the Hungarian Accreditation Board for Foreign Languages (NYAT) (2004-2007); Dean of the Faculty of Teacher Training, University of Veszprém (later The University of Pannonia) (1990-98); Vice-President of the Hungarian State Language Examination Board (1979-90); Deputy Director of the Foreign Language Examination Centre of ELTE Univ. (1979-88); etc. Professional affiliations and activities: (selected) Fulbright Alumni, N.J., U.S.A. (1988-); Fulbright Alumni, Hungary (1992-); European Association of American Studies (EAAS) (2000- , Member of the Board between 2001-2004); Association for Teacher Education in Europe (ATEE) (1994-); EARLI (1994-); EALTA (2004-); IATEFL Hungary (1992-); Member of the National Board of the Society of Modern Philology (1995-); HUSSE, HAAS (1993-); Hungarian Association of Applied Linguists and Language Teachers (MANYE 1990- served two terms as Vice-President); FL Cabinet of the Ministry of Ed. (2002-2005); Honorary President of the Association of Language Examiners and Language Testing Experts (2002-) etc. 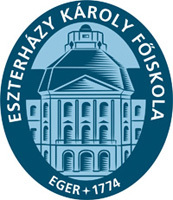 Research endeavours/ Subjects of interest: Applied Linguistics (Psycholinguistics, Sociolinguistics, Pragmatics); Hungarian Studies; Hungarian as a Foreign Language; Foreign Language Teacher Training; FL Testing and Evaluation; American Studies; Language Pedagogy; American Folk Music; History of Foreign Language Teaching; Contemporary FLT, etc. Awards and Honours: (selected) 1975 Research Scholarship, Manchester University, UK; 1979/80: Hungarian State Research Scholarship/British Council, Canterbury, UK; 1986:ELTE Research Scholarship, The University of Stockholm, Sweden; 1988-90: Fulbright Scholarship, Rutgers University, N.J., U.S.A.; 1993: Apáczai Csere János Award; 1995: Tempus JEP (World Bank N.724) Educational Testing Service, Princeton, N.J., U.S.A.; 1999-2002: (Hungarian State) Széchenyi Professorship; 2003: Gizella Award (the highest ranking cultural award of the county capital, Veszprém; 2008: Brassai Sámuel Award (the highest ranking award in applied linguistics; 2009: The Joint American Studies MA Project, Rochester, N.Y., U.S.A.; 2010:Cross of Knighthood of the Hungarian Republic; 2011: Kiss Árpád Award; 2011: Great Merit Award of Veszprém County; 2015: Somos Lajos Award; etc.